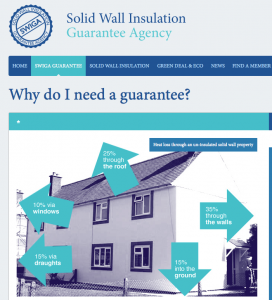 Guarantees for Solid Wall Insulation and Getting Insurance for Failure. If considering EWI then accept nothing less than a 25 year guarantee. Some unscrupulous installers will not offer it. 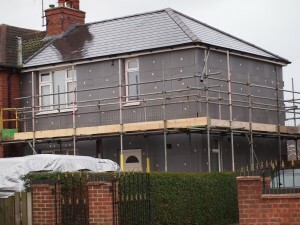 We have previously warned about the double standards being operated by some external wall insulation installers with regard to the guarantees being offered on these systems. DECC insisted that these systems came with a 25 year guarantee if they were to be rolled out to the mass market; enter SWIGA, the company formed to provide those guarantees. However, it seems that a large proportion of the industry is only providing those guarantees for grant funded work, such as ECO funding. If you are a cash buyer for one of these systems then there is a strong chance that you will be offered a substantially reduced guarantee. I have a client who was only offered a 12 month guarantee, though their installer later offered to pass on the system manufacturers 5 year materials guarantee, which is fairly pointless. When made aware of the 25 year SWIGA guarantee my client questioned this but found that their installer was not a member of SWIGA and therefore could not offer the 25 year guarantee. As grant funded work dries up we are seeing a number of installers sever ties with SWIGA or generally failing to maintain any links with a body that can provide the appropriate level of insurance protection. After all, if the Government isn’t forcing you to offer a 25 year guarantee then why pay membership to an organisation that oversee’s an insurance scheme that you are not offering to clients. Irrespective of whether work is privately or grant defended this application of double standards is an industry scandal. In this particular case the installer was recommended to my client by the system manufacturer, despite that installer having no way to provide the appropriate guarantee. Should we expect material suppliers to carry out some level of due diligence to ensure that their recommended installers can offer an appropriate guarantee? I think so, and if you can’t do this then don’t make recommendations! To my mind this raised a very obvious question, which is, can you actually get insurance cover for an EWI system that has already failed? Possibly… but as with all things risk related, the greater the risk, the more you pay to offset that risk. In this case we are fairly confident that the insurance company would refuse to insure a previously failed and repaired system, or they would increase the premium to such an extent that the installer would not want to pay the price. We are fairly confident that the system failure was not disclosed to the insurer because the insurer would have wanted to know the full facts relating to the cause of failure and repair in order to help their loss adjusters reach a decision. So in fact a guarantee is being offered when the insurer is not yet in receipt of all the facts relating to the case. We’d go so far as to say that having spoken to this insurer, the policy may not actually be available under these circumstances. It goes without saying that it would be construed as fraud to obtain an insurance policy without disclosing all material and relevant facts and I’d consider substantial failure of the system within weeks of application as fairly relevant, wouldn’t you? You can pick holes in a lot of these policies until the cows come home and the fact remains that the vast majority of EWI failures are caused by poor workmanship, inadequate design or poor site storage of materials. Given that poor workmanship is the primary common cause of failure then you’re left in dispute with your contractor because a lot of these policies only pay out in those circumstances if your contractor is no longer around to deal with it. There are a lot of aftermarket guarantees and you should study them carefully if you’re placed in an unfortunate position of having to buy one. To avoid this proverbial stable door simply ensure that your installer is registered with SWIGA and can provide the full 25 year protection; If not then find an installer who can! Oh, and please budget to have your installation independently quality managed, we guarantee that you’ll be glad you did. Just when we think we have seen the worst EWI installation we’ve ever seen another comes along to take the title. So for now, and as we write this blog, this is indeed the worst installation we’ve ever seen but we’ve learned to appreciate that it’s only a matter of time before another comes along to take the title. EWI applied to random rubble wall. Note gaps behind boards. Yes, this really was the finished product. Incredibly, the insulation extends to the floor and has no base rail. Terrible detailing at door reveal. Moisture blisters to right of door reveal. Passive air vent not sleeved. This installation standard cannot be excused as a rush job or a Friday afternoon job, rather, we’re of the opinion that it must have been installed by completely unqualified site personal. In all likelihood, they were not just unqualified to install EWI but the general standard would tend to indicate that they have no previous construction experience whatsoever but nevertheless chose to jump onto the EWI gravy train. We’ll let the quality of the work speak for itself but one thing we found particularly interesting on this installation is that a decision was taken to install EWI on a random rubble stone wall. 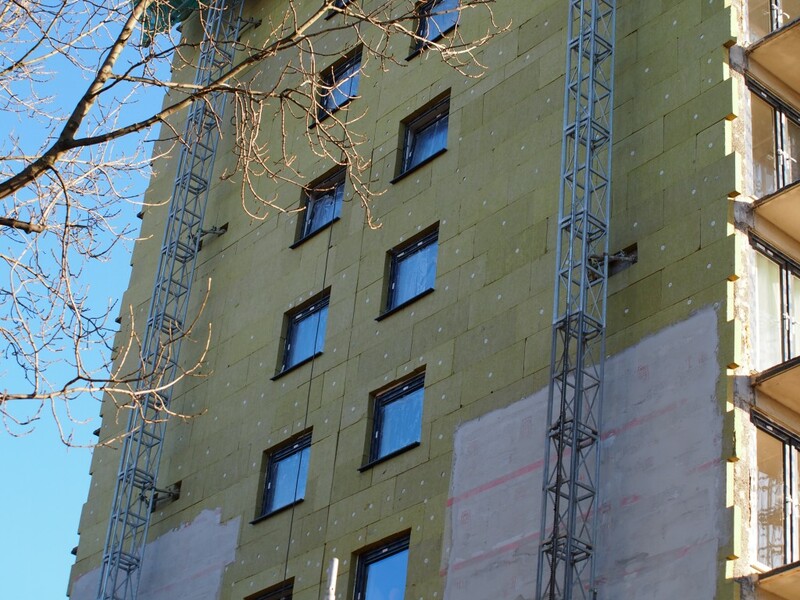 When EWI insulation boards are applied to a wall then walls have to be regularised to ensure that a smooth, in plane surface finish is achieved at the face of the installed insulation boards. Where EPS is used then sometimes the boards are given a final rasping or sanding to help achieve a flush, in plane surface, prior to the base coat application. If walls deviate by more than 20mm then it becomes almost impossible to regularise the walls and in fact, in our opinion EWI was completely unsuitable for application on a random rubble wall and should have been ruled out at design stage, but of course it wasn’t. Not only was it applied to a random rubble wall, it was also extended to the floor to wick up moisture; presumably due to the impossibility in applying a straight and level base rail to a random rubble wall. The slider image shows the random rubble wall after the base of the EWI was cut away to expose the stone wall; we believe this happened after the installer heard that the system manufacturer were coming to inspect their installation. We could write a thesis on everything that is wrong with this installation but you should take this as another warning with regard to ensuring that systems are properly designed and that you have seen a written copy of the design process. You should ensure that you inspect company credentials and more importantly, the credentials of the site installers, and you should ensure that the system comes with a 25 year SWIGA guarantee; these aren’t always being offered to private buyers of these systems. Finally, if you are a private home owner paying for one of these systems then our strong advice is you you set aside a small percentage of the budget to have your installation quality managed and signed off at key stages by a Chartered building professional who understands these systems. Set up a minor works construction contract and look to agree staged payments at each successful stage of inspection. In our opinion it would be utter folly to pay for one of these installations upfront. How Guaranteed is My Construction Guarantee? I was prompted to write this blog after a client recently explained to me that her builder recently explained to her that in fact, he had no contractual obligation to correct her work and he was only there to prevent reputational damage. It is fairly common for builders to make statements that their work is only guaranteed for 12 months and perhaps some of them genuinely believe this. Then on the periphery of any guarantees that are given directly by the builder there are all sorts of insurance policies and schemes that may afford the buyer further protection. The ten year NHBC build mark policy or the 25 year SWIGA guarantee for solid wall insulation systems are both examples of policies that are meant to provide the purchaser with additional peace of mind. 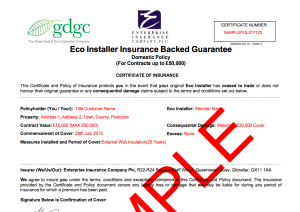 The SWIGA guarantee is particularly interesting and borne of the DECC’s requirement for the EWI industry to provide a 25 year guarantee before rolling out solid wall insulation to the mass market as part of Green Deal or ECO works. 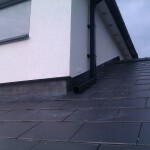 It is a requirement that ECO work has a 25 year guarantee. So what about homeowners who are privately funding their SWI installations? Surely they are afforded the same level of protection? Well actually no, it turns out that often they are not. A number of companies are delivering privately funded work without the benefit of the 25 year guarantee that is required for ECO funded work. Buyers may get the system suppliers 5 year guarantee on materials but are often told that the installer only guarantees work for 12 months. When it comes to solid wall insulation consumers are quite often confused by the contractual arrangements that exist between themselves, the installer, the supplier, the BBA and any other third party who may be providing the 25 year guarantee. They quite literally do not know who to turn to first when something goes wrong, particularly when they find that their installer is being unresponsive or obstructive in dealing with matters in a reasonable manner. I will focus on one case in particular because the principles could equally apply to any buyer of construction works. The buyer in this particular case bought a very expensive SWI system that failed within weeks of purchase. It was clear that the system had been poorly installed to such an extent that it would not have had BBA approval. They were then shocked to find that they did not have a SWIGA guarantee and the installer was not registered with SWIGA to install this product. Despite this fact, the installer had been heavily recommended by the system supplier. The system supplier rightly pointed out that they have no contractual relationship with the end user and that their relationship lies with the installer and even after admitting that the installation had non-standard components refused to intervene or take action with the installer for not installing a fully approved system, that in all likelihood will not now have BBA approval. If a complaint is made to SWIGA then they would generally direct the designer to carry out an investigation but in this case the installer is playing both poacher and gamekeeper and being very selective about which elements of failure are being investigated. They also refuse to answer a number of written detailed questions that have been put to them by the end user. This can occasionally happen and perhaps potential defendants want to commit as little as possible to written record but I’m sure that the courts would see this as unreasonable behaviour. You should give your constructor or installer reasonable opportunity to understand the scope and nature of your claim and further opportunity to correct it and again, you may want to seek professional advice with regard to what constitutes a reasonable standard for remediation work. In this particular case, we do not feel that slapping extra base coat and topcoat over an existing silicone top coat in a system that is already exhibiting moisture blisters, is an acceptable or reasonable long term solution. Moreover, we feel sure that this ‘solution’ would not meet with BBA approval. We are of the opinion that the installation is negligent and only complete removal and re-application of a system from scratch under heavily supervised conditions will solve this problem. In the event that the installer doesn’t agree and refuses to acknowledge the defects then what are the options for this end user? A purchaser who now understandably wants the benefit of a 25 year year guarantee that is rolled out to the mass market. 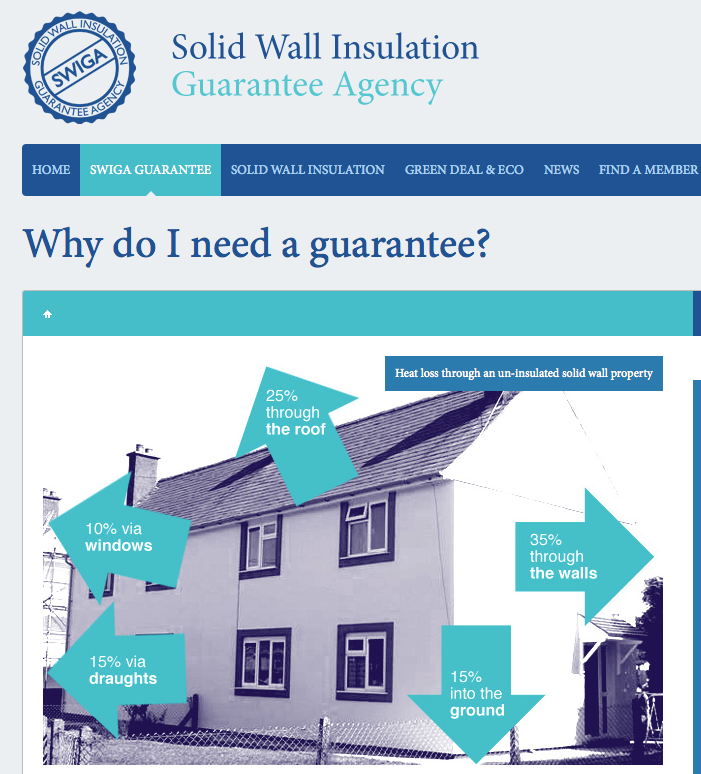 Firstly, they have to accept that they don’t have a SWIGA guarantee and the lesson learned should be that private clients should insist on a 25 year guarantee before signing up for having solid walled insulation installed. You’ll find that there’ll be no arguments from the installer if business depends on it but I think it is a rather large loophole in the process and damaging to the industry that they would not afford the same level of protection to private buyers of these systems. We can discuss the value of different guarantees but these are expensive systems and I would recommend a 25 year guarantee, if for no other reason than to guard against contractor insolvency. Contractual claims normally relate to latent or patent defects, which generally give rise to claims under breach of contract. 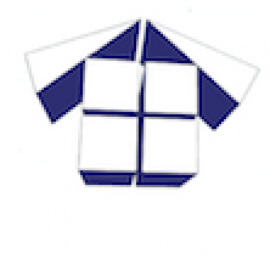 However… it is not unusual for buyers to discover latent construction defects many years after time limitations have lapsed and where latent defects are found outside of the 6 year period for breach of contract, then clearly this presents a problem. However if you suffer damage arising from negligence then the cause of action arises when the claimant suffers damage (when the defect appears) rather than when the breach of contract occurred. (Latent Damage Act 1986). The complexity comes from the fact that damage is suffered from the defect occurs, rather than when it is discovered by the client. Thankfully negligence claims are not time barred provided that the buyer instigates proceedings within 3 years of discovering the defect. That may not be as rosy at it initially sounds since all negligence claims must be commenced within 15 years of the contractual breach. Still, I hope that any buyer of construction services realises that the level of contractual protection extends well beyond the 12 month guarantee that many builders say or think they offer, potentially up to fifteen years for tortious claims. Be warned that contractual rights do not transfer to subsequent building owners and any protection that would have been afforded to the original buyer under contractual terms and conditions will not apply and subsequent loss would be regarded by the courts as pure economic loss. Whilst I advise all clients to explore all reasonable options to resolve disputes without referral to the courts, very occasionally court action is inevitable. Hope for the best and prepare for the worst is my advice, and with this in mind you should always keep meticulous records of all transactions and communications with your builder. The Civil Courts will always look to see that you have done everything that could reasonably be done to avoid court action and I would always advise that you try to keep legal and professional fee’s proportionate to the value of your claim since even if you are successful then any costs awarded are likely to be proportionate to the value of your claim. You are highly unlikely to recover £10k in costs on a claim also valued at £10k. If you have evidence that your EWI system was installed negligently and can prove it, as I believe the client does and can, in this particular case, then in fact they will have potential redress to the civil courts for another 15 years. A sobering thought for any other installer who insists that they have no contractual obligation to correct defective construction works. However, this is currently a fairly straight forward claim for damages under breach of contract and even the six year protection afforded will not be seriously tested since the system has already failed due to a high number of patent and latent defects. If we are required to intervene on these cases then we work with an excellent construction lawyer who is also a Chartered Quantity Surveyor, so that simplifies and shortens any technical discussions once the site investigation is completed, which can a real benefit in moving the issues forward quickly and cost effectively. We were recently asked to look at an EWI failure for a potential client. 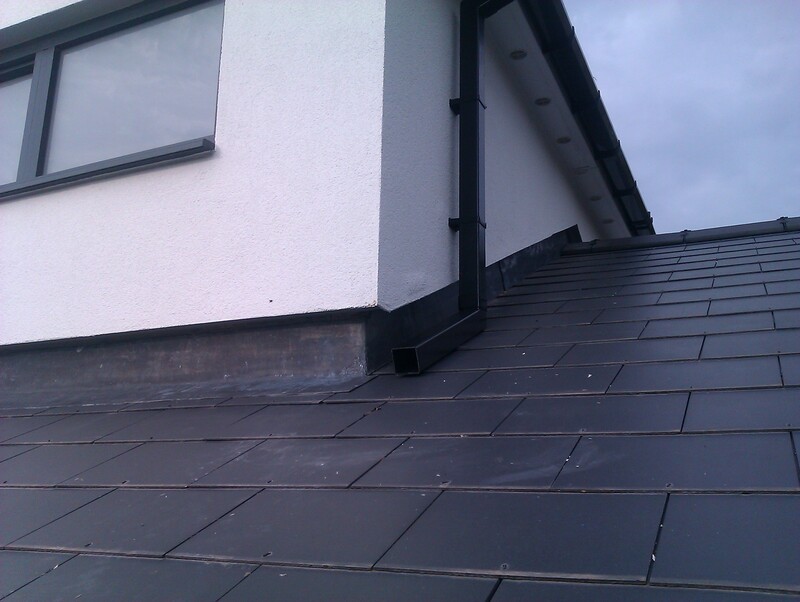 This was a homeowner who had spent £15k on having their home externally refurbished with an EWI system. At circa £100 per square meter this was an expensive system but they’d done their homework and were happy to pay a little extra because they believed that they were buying the best. I was more than a little alarmed when they explained that the system had been installed in 4.5 days and indeed, this did not align with the 3 week programme that had been described by the installer. Thankfully the homeowner had taken photo’s throughout each stage of the installation and this made it easier to understand exactly what had gone wrong, even ahead of doing any invasive site investigation work. Our understanding is that within days of the installation being completed the homeowner noticed that the underlying EPS insulation boards could be seen through the finished coat of decorative render. This was initially noticed at night when the external uplighters shone against the render but as the days went by the boards also became clearly visible during the daytime. The system designer looked at the problem and described ‘pillowing’ in the EWI system though no explanation for this phenomena was presented. Their proposed remedy was to strip off the render back to the EPS boards and to re-apply the base coat, mesh and finished render; a proposal that we do not feel will go close to addressing the problems on this installation. In fact, we didn’t agree that this was pillowing but we can understand why the term was used since the insulation boards can also be seen under the finished render when either pillowing or mattressing occurs. 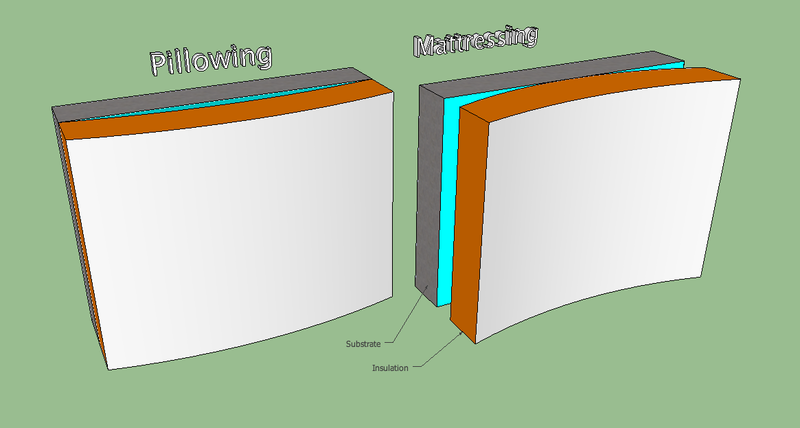 Both effects are generally linked to poor adhesion when the board is bonded to the substrate unevenly across its surface, for mechanically insulation fixed boards the same effect could also occur where the recommended fixing pattern has not been followed. We recently encountered an installer who fully bonded phenolic boards to counteract board shrinkage but we’re not aware of any evidence proving this proposition and our view is that it will have little or no effect on the problems caused by board shrinkage, our solution to this problem is not to specify Phenolic boards. Whether you see pillowing or mattressing can depend on external temperatures and pillowing is linked to warm temperatures, whilst mattressing is linked to cooler temperatures. The amount of adhesive recommended varies from system to system and for this system a minimum coverage of 40% was recommended. There is a slight anomaly here since generally you should avoid voids between the insulation and substrate to prevent a stack or chimney effect, this is a naturally induced vertical flow of air that is to be avoided in these systems. Interestingly, in this particular case, the system designer ordered some 20mm thick insulation boards that we understand were to be used to level off the substrate but they were never used by the installer. Once the EPS boards were installed they should present a ‘smooth in-plane finished surface’, any high spots should be rasped or sanded to achieve this if required. The installers mentioned to the homeowner that they were short of base coat but when questioned as to why they hadn’t ordered more, said that they’d ‘managed’ with what they had. Clearly they didn’t because the the mesh should be free of wrinkles and fully embedded in the base coat with the mesh pattern just visible on the finished surface. The system logo should not be visible through the cured reinforcing coat and yet it was clearly visible. The manufacturer of this system also states that supplementary mechanical fixings are used with the adhesive insulation systems, especially during the strength development phase of the adhesive curing and yet supplementary fixings were only partially used for reasons we cannot fully understand. You will see from the image slider that the insulation boards are clearly visible in the finished EWI system and it is our belief that the reason for this is simply down to the fact that the base coat was too thinly applied to fully cover the underlying EPS boards. The effect got progressively worse in the days following installation due to shrinkage in the base coat and decorative coat as it fully dried after the installer left site. They may have applied the term ‘pillowing’ as a generalised term to describe a situation where the underlying boards could be seen but as we said, we do not believe this is the technically correct description. The standard of installation is so bad on this particular property that we don’t believe that the three foreign sub-contractors who installed this system were certified installers, site communication was very poor due to language issues and they certainly weren’t managed during the process. However, we don’t want to mention the particular system that was used because we think this is probably irrelevant at this point. It is yet another perfectly good EWI system that has very poor site specific design and installation. We have an update to this particular tale… 2 weeks after writing this blog and approximately 6 weeks after installation the system has developed its first moisture blister, we expect this to be the first of many but we’ll continue to monitor whilst the system designer provides a second technical report into the alleged reasons for failure. For some reason the first technical report was never made available and will never see the light of day though I suspect that may be due to our involvement. We’ve inserted two images, one of the area where failure has occurred prior to application of the reinforcing mesh and topcoat and another of the finished render showing the moisture blister. Moisture blister near base of downpipe. Note terrible edge detailing on render. We have been monitoring outcomes for quite some time on a number of high profile external wall insulation system failures; all of which occurred on high rise blocks in Bootle, Wigan & Glasgow. We have reviewed the Wigan failure and have a clear picture as to why the render system failed at Scholes Village but we cannot yet share this information. 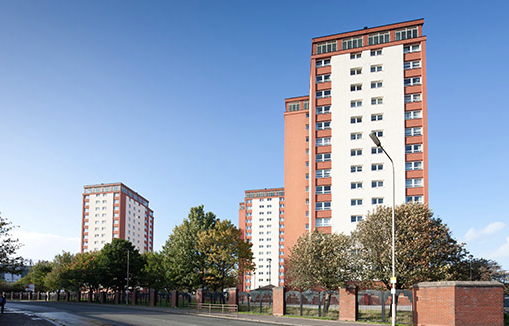 The failure at Stanley House in Bootle has I believe now been rectified but the cause of the failure was never published and we believe that the clients (One Vision Housing) even signed a gagging order as part of the court settlement. You can see evidence of that failure in the next video clip. Whilst doing continued research on EWI failures we came across commentary relating to the Stanley House failure that has been published by one of the consultants involved in the failure. After the initial gagging of information it is good to see that a clear picture has now emerged with regard to the cause of this failure; however it has taken years for this information to emerge. The failure mode is unsurprising to us but begs the question as to who was monitoring the quality of this work on site? Missing metal cladding fixings are a very easy thing to spot and correct, even to the least discerning eye. There was an immediate and urgent need to install a mild steel mesh around 6 buildings but we are unsure if this was installed as a temporary or permanent measure. There are some forms of insulation such as phenolic, that once wet need to be removed from the building. It will be interesting as we move forward to see if there are attempts to reinstate or repair failed and saturated EWI systems. Some systems such as those containing XPS insulation will present greater flexibility for repair and re-instatement than others. We next come to a case that has always been incredibly difficult to uncover information about… GHA’s Mini-Multi blocks. These blocks experienced failure very early after completion in 2010 and we saw reports of ‘extensive blistering’ in a number of blocks. The main contractor, ROK, went bust but they were not the EWI installer and we are unsure who ultimately footed the bill for remedial works. The consultant dealing with this also published some recent findings with regard to these failures and we believe that remedial works are now complete; however we have to say that we find their reported reasons for failure as a little unusual. The consultant stated that ‘The render on GHA high rise blocks had started to blister. 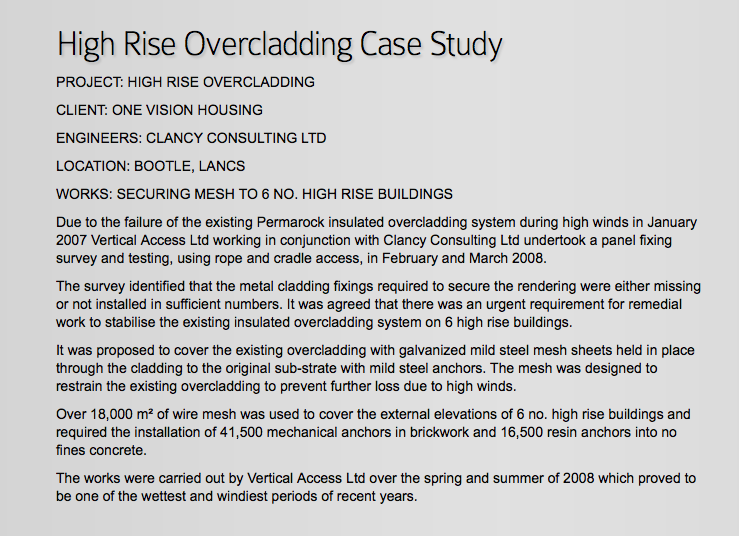 The failure was identified as being due to a lack of water permeability in the topcoat.’ This directly contradicts information given to GHA residents by GHA representative, Ian Duff, who stated that ‘moisture and evaporation got in behind the over cladding.’ We are unsure if it ‘got in’ through failed building joints or whether wet insulation was installed but for either eventuality, no amount of permeability in the topcoat was going to lose this moisture through an evaporative process. 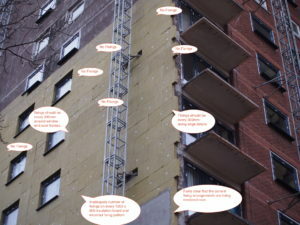 The idea that these systems absorb moisture by the ‘overcoat’ principle is simply wrong and if they take in water through failed building joints or if wet insulation has been installed due to poor site storage facilities then the render coat is not designed to lose this moisture by permeability or breathability. These are weatherproof systems and water ingress will usually write off the affected underlying insulation. We always believed that such premature failure and blistering was a sign that the insulation was wet when installed but we are now even seeing systems installed with no sealant at all around windows and other critical junction details and these critical omissions would also be responsible for such rapid system failure. Clients must have a robust and independent system in place for the quality management of works. Clients must understand their specification & the terms of their BBA approval to ensure that there is no diversion from the agreed specification. 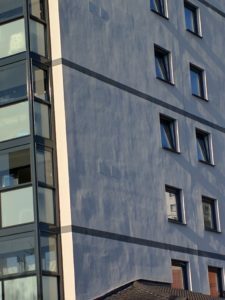 In theory, it is a reasonable proposition and of course we know that EWI should not be installed on wet walls because evaporative moisture can and does cause significant problems. However, there is no need to hypothesise about this potential factor since internal data logging can easily monitor and record internal environmental conditions, thereby providing a complete picture with to regard occupancy issues. Secondly, hygroscopic moisture content (HMC) and capillary moisture content (CMC) can also be checked and recorded in the building fabric to check if internal relative humidity is in fact having a significant impact on total moisture content within the building fabric. If the building fabric is dry then occupancy issues are not a significant factor. The EWI Industry: Time for Reform? I have been predicting that we would see a glut of external wall insulation failures for the last three years and I am now seeing strong signs that my prediction is correct and I suspect that even I have not fully grasped the scale of the problem yet. I am currently working on a supplementary article to follow the piece I wrote in the CRI Journal and to that end have a trip to Germany planned to review their EWI system failures. To my mind the industry is simply not open enough to airing and discussing their failures and in fact has a very strong defence mechanism that kicks in to counter negative web publicity wherever it appears. 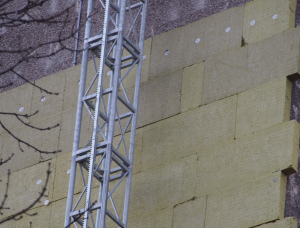 I have experienced this first hand when I recently blogged that ‘The Defects are Often Built In.’ I was following and photographing a Midlands EWI High-Rise installation purely as an academic piece and was careful to not mention the contractor or the particular scheme. Apparently I was not careful enough because within 24 Hours I received a call from a manager who project manages these schemes for the contractor concerned. He explained that he had received a call from a ‘concerned industry insider’ and that he wanted to discuss my blog. In fact he was incredibly reasonable about the blog and was more concerned about the quality of work seen in my blog pictures. One picture was flagged with a large number of defects and he was in complete agreement that the work was appalling. His prime concern was being proactive in getting the work rectified before premature failure placed his employer at considerable financial risk. We had a very professional discussion and I closed by commending his approach wishing him good luck in getting the work rectified. Twenty four hours later I received a second phone call from the Managing Director directly responsible for the site and the work. His approach was very different, he claimed that the photograph was only good for the time it was taken and that I didn’t know what had happened afterwards. His ‘experts’ were telling him that the work was good and there was a reason that mechanical fixings were not fully installed at the same time. I disagreed and stated that the installation process was clearly detailed in the BBA certificate. He suggested that they had an installation process that had been signed off by their designer but of course if this deviated from the BBA certification process then the BBA certification process would no longer be valid. In essence he claimed that there was a reason that only one mechanical fixing was being installed into a 1200 x 600 insulation panel until the adhesive had dried, after which point they would go back and install the extra fixings required. This was patent nonsense because their approach to installing insulation panels was inconsistent on every high rise block and every elevation of each high rise block. Some panels had zero fixings, some had one, some had two some had three…. You get the picture. If there was a separate site installation process deviating from the BBA certificated process then this in itself is a problem but clearly there can only be one process and inconsistency of approach demonstrates clearly that the process is not being followed or managed. There was a subtle suggestion that coming to site to discuss how things are done might present some ‘opportunities’ for my business whilst continuing to run with my damaging blog might be damaging to my business. I try to be pragmatic wherever possible and compromised on removing the name of the town, changing the photograph to one more palatable and removing the project value so the blog was as anonymous as it could possibly be. I refused the suggestion that I should take down the blog altogether. What really fascinated me about this conversation is how quickly the EWI industry defence mechanism kicked in. I was told that the web is scanned daily for negative publicity and a concerned party from within the EWI trade association contacted the contractor within 24 hours of my blog going live. I was told that there is a possibility that my blog or website was possibly being specifically monitored due to my previous article on EWI system failures. I’m well aware that this sounds like some fantastic conspiracy theory but its rather more simple than that… EWI is big business and confidence in EWI system installations has to be maintained to keep the gravy train on track. Perhaps the great irony in all this is that I am a huge fan of EWI systems but my view is that they are consistently let down by inadequate design and poor site practice and installation and some reform is needed. The Department of Energy and Climate Change insisted that EWI systems came with a 25 year guarantee to facilitate rolling out EWI systems to the mass market and to that end SWIGA provide a guarantee that covers materials and workmanship. Firstly, SWIGA was essentially set up by the EWI industry and it is not what I would call an independent body. Secondly, if a client does experience EWI system failure that is reported to SWIGA then SWIGA will appoint the system designer or manufacturer to investigate that failure. This is hardly an independent investigation and one that is bound to develop into a circular argument as installers then appoint their own experts to counter the findings in reports generated by designers or manufacturers. I’ve seen this first hand on numerous occasions now and can see an EWI industry heading towards a tangle on internal conflict and dispute until they accept that they cannot self-regulate to the degree that they currently are. EWI systems will continue to be a potentially great way of dealing with technically obsolete and ‘hard to treat’ properties but the industry is in danger of leaving a legacy of system failures and a subsequent tarnish that will be very difficult to remove unless wholesale changes are made. I would suggest that adequate reform rather than the management of negative publicity is the way to maintain consumer confidence in EWI system installations. 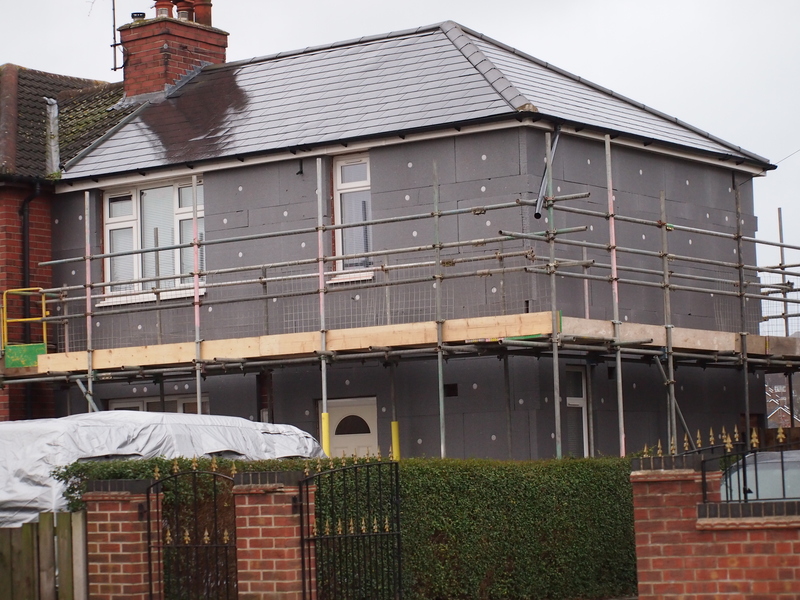 Wherever possible we try to take the time to monitor ongoing external insulation schemes and we are currently monitoring two Midlands schemes to add to our knowledge base. 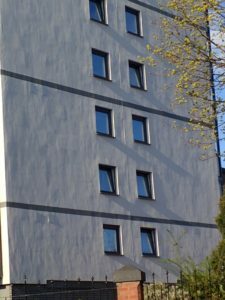 The picture of the high rise block clearly shows that EWI defects are being built in and this is fairly obvious even to the casual passer-by. 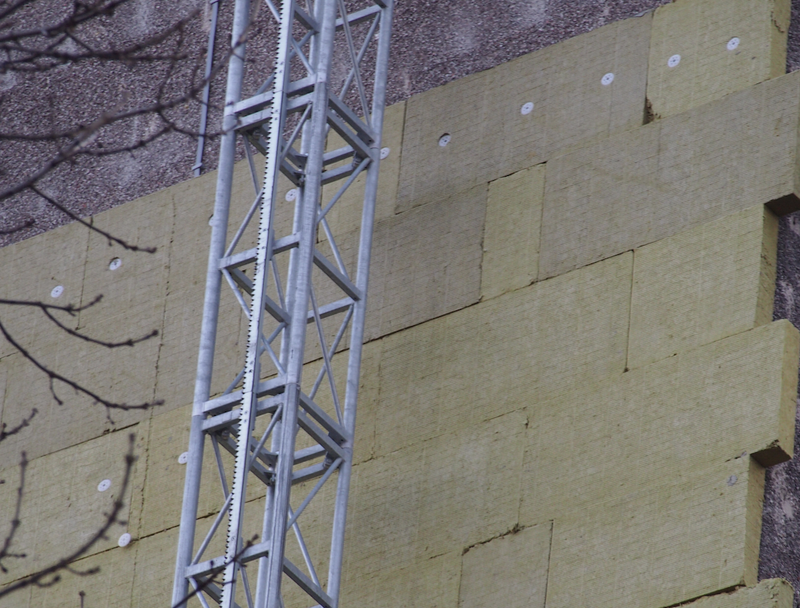 The insulation panels have been bonded with adhesive to the block but this does not mitigate for the reduction or complete omission of mechanical fixings. This is a high rise scheme and it is our opinion that premature failure is inevitable. The second scheme is a low rise scheme so on the upside, if things do go wrong then it is easier to inspect and access costs are not prohibitive for remedial works. 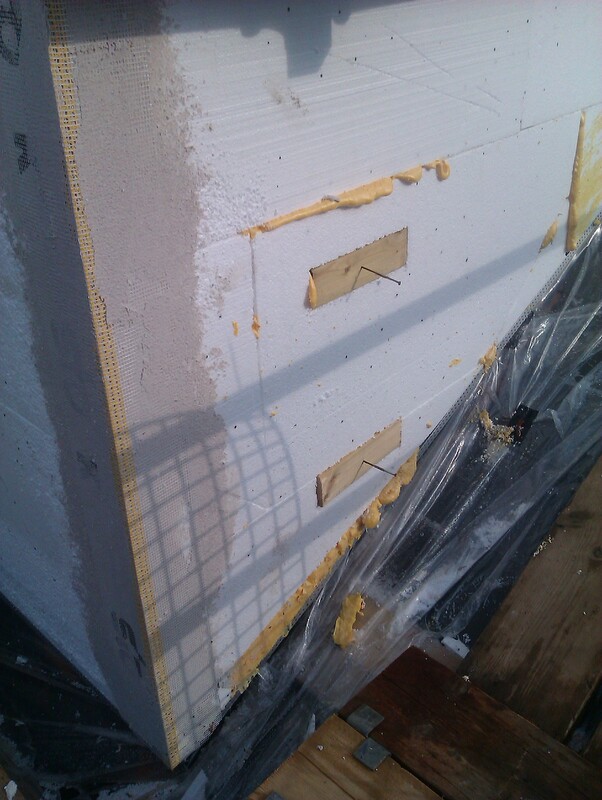 However, this is a scheme using EPS insulation boards. We have to assume that the boards have been fixed with adhesive but again this does not mitigate for the lack of mechanical fixings; in this case only one fixing per board has been applied and there are no additional fixings around window and door openings. Generally these need to be placed at a maximum of 300mm centres around window and door openings. 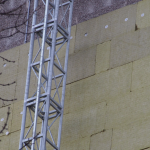 We had a paper published in the Construction, Research and Innovation Journal in December 2013, entitled ‘The Risky Business of Covering Up.’ This paper heralds an early warning with regard to our belief that we will see a glut of external wall insulation failures, particularly on high rise blocks. These systems are often supposed to have a 30 years design life but very few clients will achieve these life spans unless they understand the requirements of their individual system BBA certification and stringently monitor site works to ensure that the BBA certification is being complied with. In our experience, there is often a complete failure to adhere to the BBA certified installation process. There was an extremely interesting development to this blog that I have been meaning to deal with… In fact I was contacted by the constructor concerned and requested to take the blog down. I’m not prepared to do that, it’s an academic blog that is aimed at continuous improvement so I do not feel that it serves the industry well to keep these issues hidden. The point I particularly wanted to deal with was the claim that pinnings to the insulation boards were only temporary and the intention was always to go back and install the required amount of hammer fixings once the adhesive had dried. Of course to try and confuse the issue with this claim is akin to admitting that you are putting the general public at risk… These systems are load and wind tested according to the number of hammer fixings installed and adhesive bond does not form part of the load test assessment. If a system insulation board is required to have 5 hammer fixings then this is required to satisfy structural adequacy. If you then claim that a reduced number of temporary fixings have been installed then you have actually installed a system that is structurally unsound (albeit temporarily) and at risk of falling from the building until the required number of permanent fixings are installed. I do hope that this is not a common approach for installing EWI but I really don’t believe it is since the process of installing ‘temporary’ pinnings would neither save time or serve any useful purpose.